There are only 9 days left until Christmas, although the 8 nights of Hanukkah begin tonight! Happy Hanukkah to all those celebrating. Despite being super organized at the beginning of the season, I still have a few lingering gifts to purchase, and I only have about a week left! If you need gifts for kids at school, kris kringle exchanges, or stocking stuffers, I've come up with a list of some great, inexpensive toys and games for the kids of all ages. 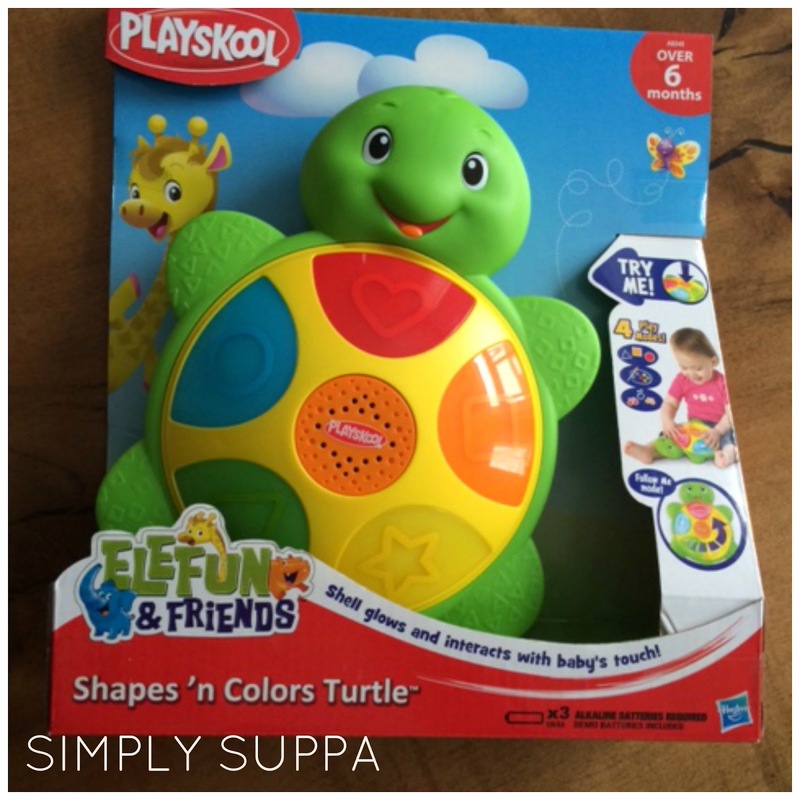 This little guy is portable, small and offers interactive play for babies. You can choose between colours, shapes, music or follow me. The base of the turtle wobbles for even more fun. I'm sure baby girl will enjoy this in a few months and I KNOW she'll have to share with her big sister, who despite being almost 3 years old, will love to press the buttons! $15 at major toy retailers. In our home, bathtime is not only important, but it's also fun. Bathtime equals playtime. But we often forget about having new toys in the bath. Bath toys do not need to be expensive, but it helps if they are multi-functional. 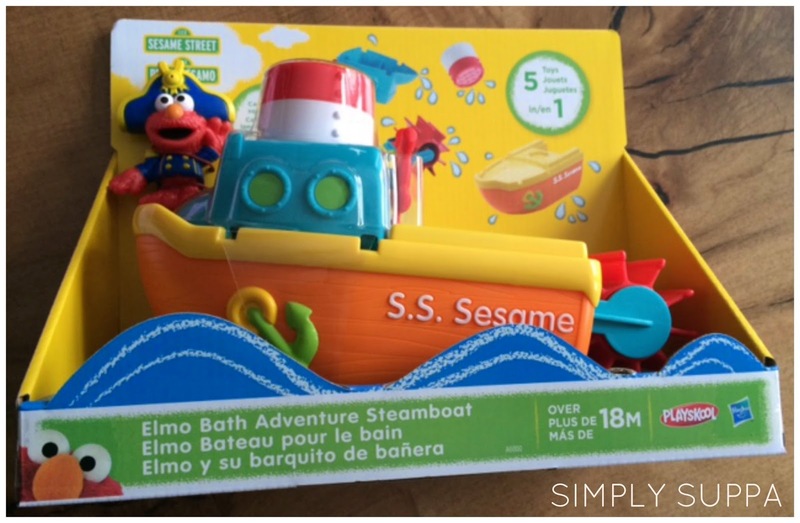 The Elmo Bath Adventure Steamboat is really 5 toys in one that allows kids to scoop, strain, squirt and paddle. Use the pieces together or separately. Say that 5 times fast. 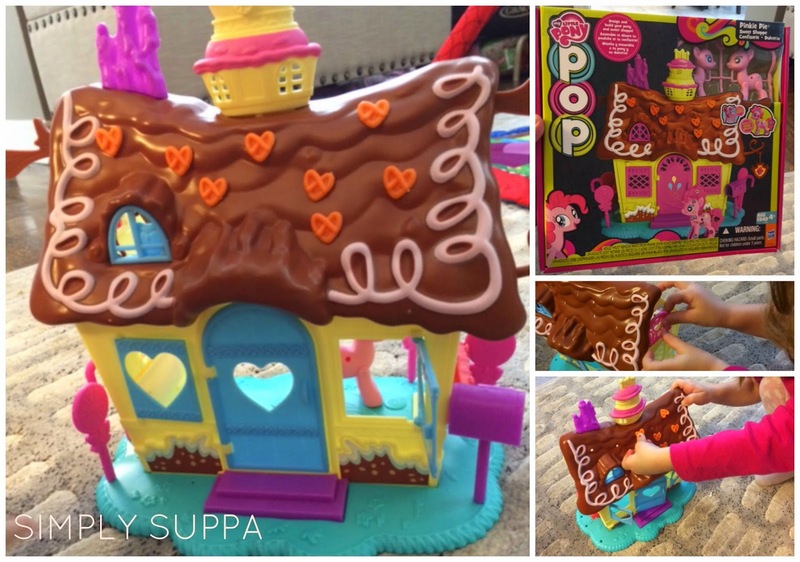 Put your fingers to work when you put together this little sweet shoppe, which comes with a mini little pony to decorate. Customize your home with different colour doors and windows and glam it up with stickers, stickers and more stickers. Isabelle loves playing with this one, taking it apart and putting it together every day! Do you wake up in the morning humming Let it Go, Let it Gooooooo? Chances are you're watching a lot of Frozen in your home. Welcome to the club. My Big LO is pretty enamoured with all things Frozen, but there wasn't much to ask for this season, because, well, we have it all! Not really, but you get the point. Frozen is definitely the rage this holiday season, from the movies to the dolls, to toys and games. I thought I'd highlight two Frozen items that work for both young and older children. And they don't sing either! 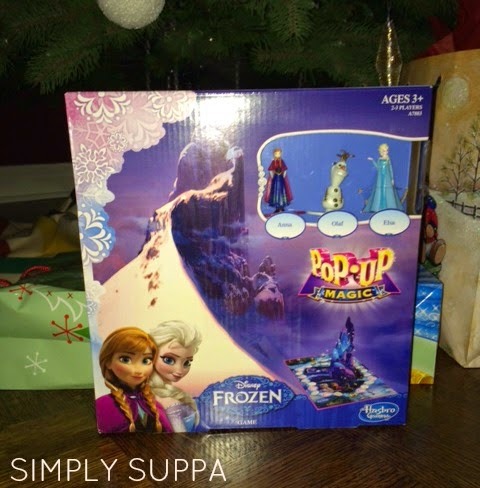 Frozen Pop Up Magic Board Game: Join Anna, Elsa and Olaf on a magical journey around the board. This is an easy beginner board game, designed for kids 3+. $15-20 at major toy retailers. 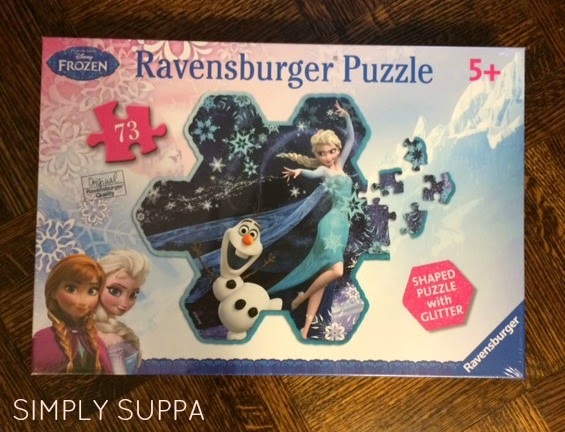 Frozen Ravensburger Puzzle: This 73 piece puzzle is a bit more challenging, so perfect for the older child on your list. The final shape is a beautiful snowflake, complete with glitter! This puzzle is even made from recycled material. Last but not least, For the Sisters on your list, the Kidoozie Play House. Isabelle loves to play with this little tent at our local library. There's not much to it, but she loves to go inside the play, read stories or hang out. When I came across this Kidoozie Royal Princess Play House, I knew she would love it, and when Madeline is older, she'll love to play with her big sister. It's super easy to put together and goes away neatly into this carry bag, perfect for travel or hideaway. After the Christmas tree is down, I'll be setting up a reading nook with this tent prominently in the middle. So excited about this one! Also available: the Pirates Den Playhouse. And there you have it! 6 kid toys, games and activities that won't break the bank but are sure to put smiles on their faces on Christmas morning. Disclosure: I received these toys in order to write this review. As always, all opinions expressed on my blog remain my own.